Posted on December 14, 2017 by Curt S.
Trees are a vital part of our ecosystem, as well as, a beautiful addition to our landscapes and yards. When a tree is dying, it can take years to reach the end. Some trees can take up to two years or more to entirely perish. Trees also die from the inside out, so it can be difficult getting an accurate status of health with just a glance. 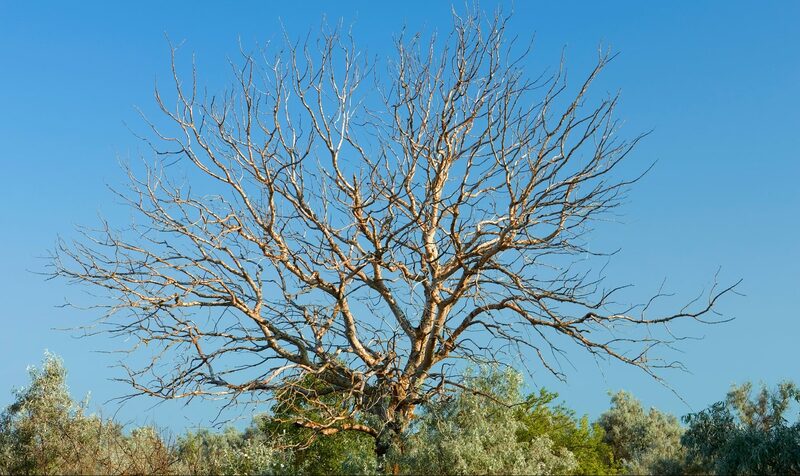 If a tree is diseased, dying, or dead, there is a chance it could impose a threat on its surroundings. Continue reading to learn how to tell if a tree is dead or diseased; and what to do if you determine that a tree has indeed expired. All living organisms can become ill, and trees are no different. There are various ways a tree can get sick, including disease, storm damage, vandalism, soil compaction, over fertilization, and much more. The root of the problem, as you could say, could be a multitude of circumstances. It is important to determine the reason behind diseased or dying trees in order to prevent more trees from getting sick or dying. To figure out the status of a tree’s health, there is a simple scratch and snap test you can administer at any time of the year. You must be patient, however, because it requires you to monitor the tree throughout the seasons. As the seasons change, pay close attention to the branches of the tree. Look for little green buds on the branches and limbs. This is a sign that the tree is still growing and producing flora for the spring. These buds are in line to becoming new branches. The next part of the test is to actually break off a small limb of the tree. Notice if it snaps abruptly and cracks off, or if it bends and bows. This determines the moisture of the tree. Dry trees are not producing anything. Look inside the branch after you break it off; does it have a moist yellowish-green center? If so, it is a sign of good standing health. You do not want to see a dry, brittle limb that snaps off quickly and crumbles in your hand. Another aspect to investigate on a tree is the bark. Dry, dark brown, brittle bark is a bad sign. A living tree has a green moist under part that signifies good health. Use your fingernail or a small knife to scrap a piece of bark off the tree. Here is where you can see if the under parts are healthy or not. 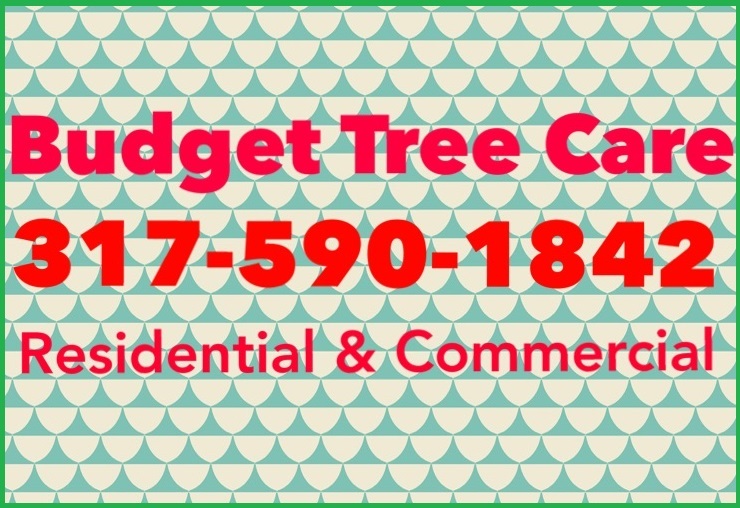 Call Budget Tree Care at 317-590-1842 for professional Indianapolis tree removal you can trust. 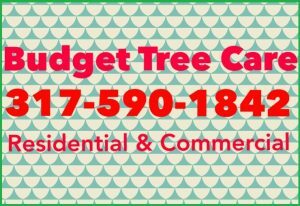 We are tree service and tree care professionals that can answer any questions you have about dead or dying trees. We offer tree dead services, such as tree removal and stump grinding; but we also provide treatment for diseased trees and insect infested trees. We also offer senior discounts and competitive prices! Request a free estimate, today. This entry was posted in Tree Removal and tagged dead tree looks like, dead tree removal, dead trees, Indianapolis tree removal, is my tree dying. Bookmark the permalink.